Now that I have gotten that out of the way, I need to post pictures of the prize that Wendy still HASN’T claimed (hint, hint) Next time I will post pictures of my prize beforehand as Jess has done on her giveaway! 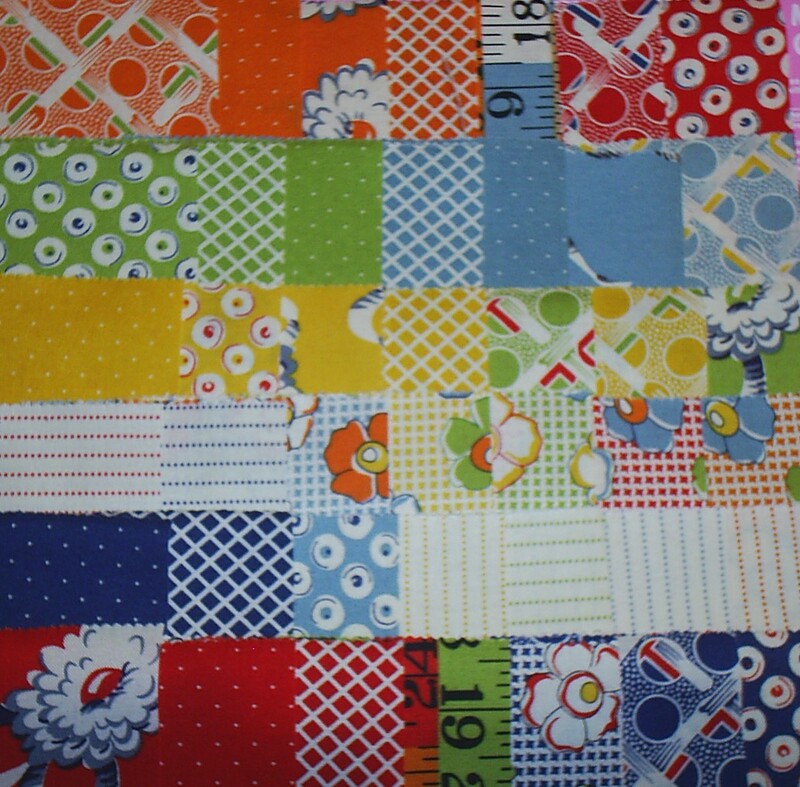 This includes 10 fat quarters (5 pop and 5 traditional–yes, I added one more traditional after the picture…it’s a surprise to the winner) a quilt label, a candy necklace, a charm pack of 5″ squares of American Jane’s latest fabrics, and some goofy Blue Nickel business card paraphanalia. I need to do some other posts too, but this will have to do for now….. Maybe I will have another today as well! Your Giveaway looks great. 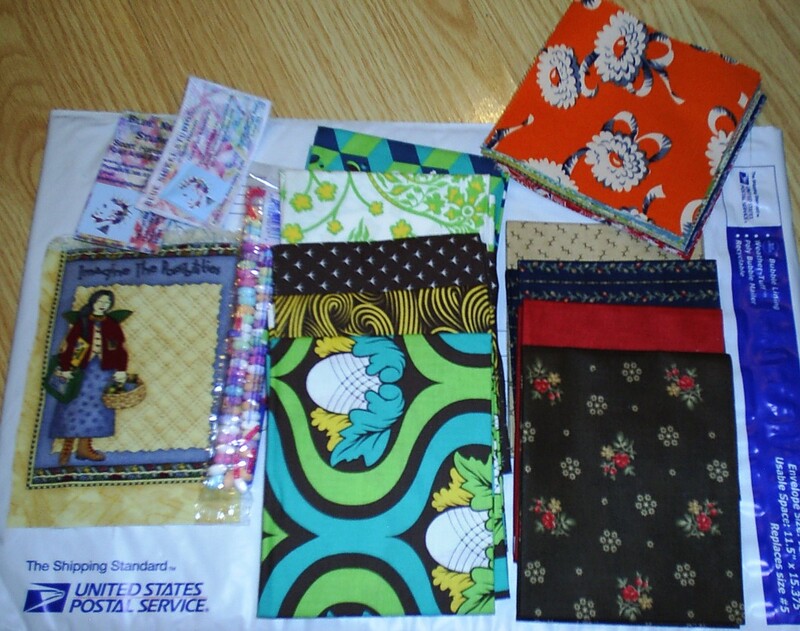 I hope Wendy isn’t away on vacation or something and misses her chance at such a great little assortment of fabrics, especially that charm pack! Going to post about the Tootsie Pop challenge on my blog now. What a clever thought you had to do this challenge! I really like Gus’ Tootsie Pop quilt, and the photo of the two people/kids sitting on the rock in the water is great. It adds a lot of depth and warmth to the quilt. I am soooooo glad you got back to me. 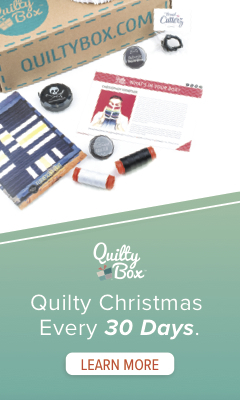 I will send you your prize as soon as I get your snail mail address….did you send me a private email with that yet? I love Jim’s work, especially Total Eclipse, Sun Pop and Big Pop theory. Great creativity! I am envious.